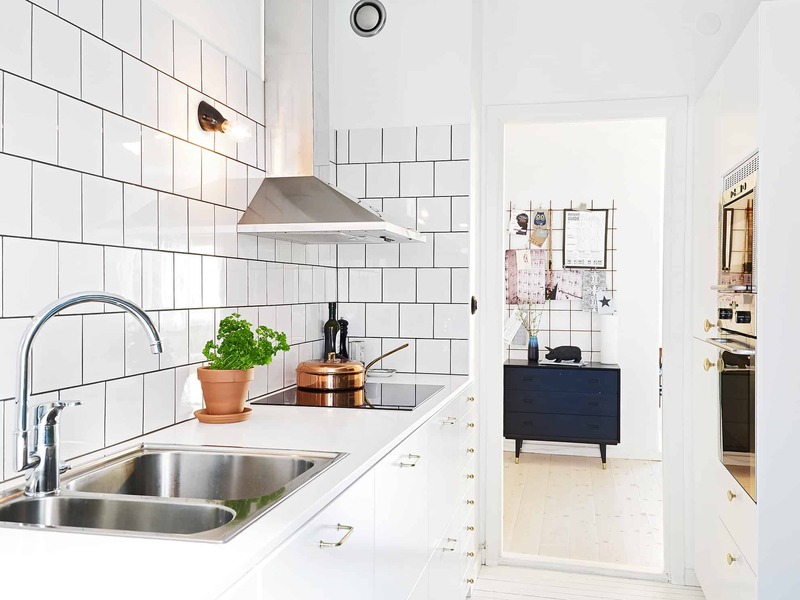 Whether you love a traditional all-white or drool for a pop of color there is nothing quite as charming like a modern kitchen. 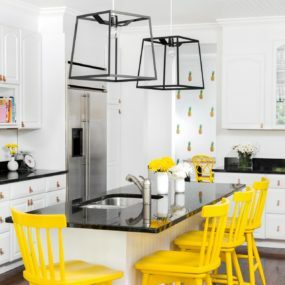 With that being said, we have put together our favorite modern kitchen ideas that have just the right amount of charm with just the right amount of unique spice. Every chef deserves the very best why not give it to them with an upgraded kitchen. Work with neutral hues in order to bring a charming appeal while still having hints of color. 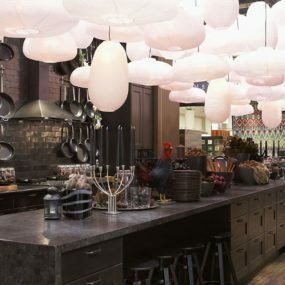 Not all kitchens need to be bright, in order to make a big statement. 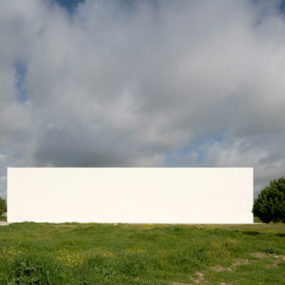 Some of them can have a gentle palette and make just the same amount of impact. Use neutral hues such as sand, beige, gray and/or pastel blue to make a big statement while still being simple. 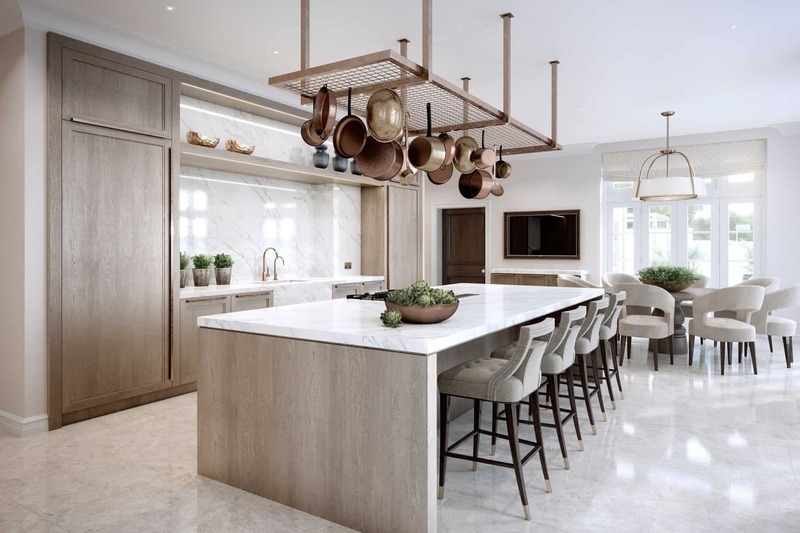 Pair with marble countertops and contemporary light fixtures to enhance the gentle hues that brighten the kitchen. If you aren’t fond of black marble consider going big on white marble instead. Add a marble display for a unique approach that makes the room feel grand. 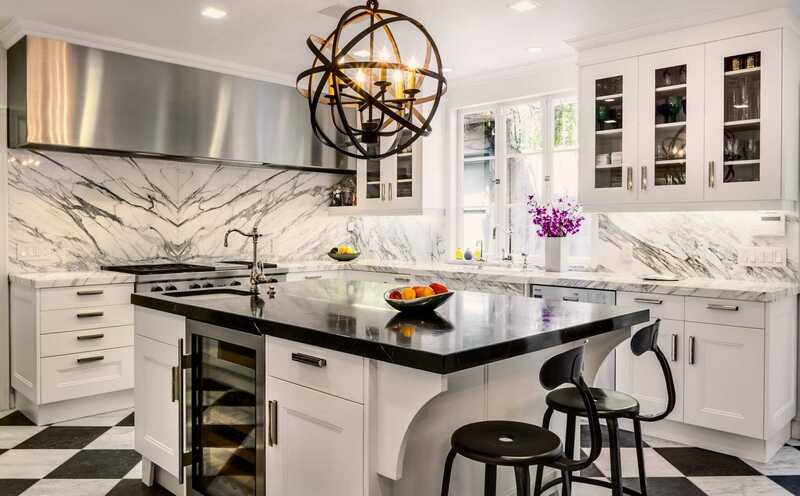 Black and white is such a traditional pairing, but when you add a marble twist the traditional hues come back to life in a modern, aesthetically pleasing kind of way. Consider a symmetrical approach by having both colors equally displayed throughout the room. You want the marble to have sleek veining through it to make the room feel grand yet sleek simultaneously. When keeping it minimal you want to have all the items that you need while making as little bit of an impact as possible. You want to select one color to make the space feel whole without taking away from what you have. When it comes to minimal you want to have only the essentials in the room. The key is using a softer color palette that makes the room feel sleek yet modern. With a minimal approach, you want to take most of the items in the room and make it have a clean aura with bits of beauty. For an open floor plan, you want to blend your kitchen decor with your dining space in order to bring a seamless approach altogether. 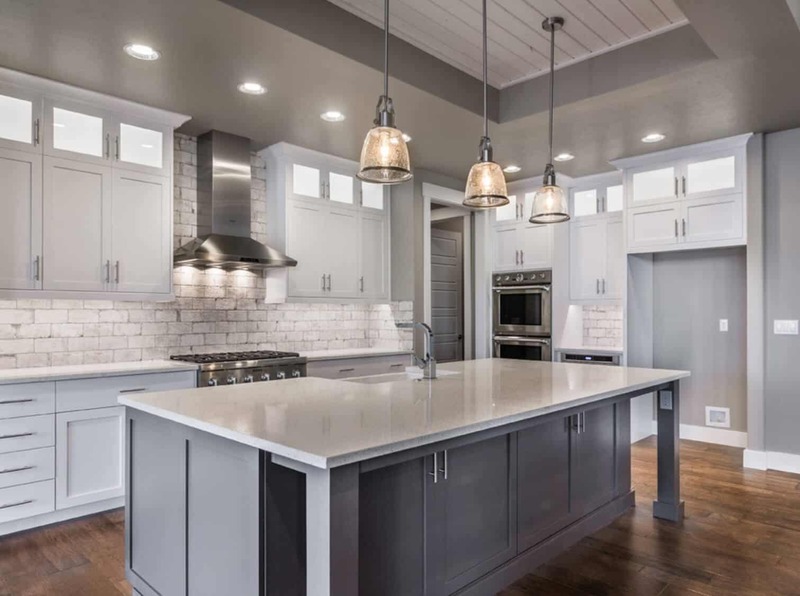 Open concept kitchens have come a long way, not only are they now a top favorite, but they are taking over when it comes to kitchen décor. 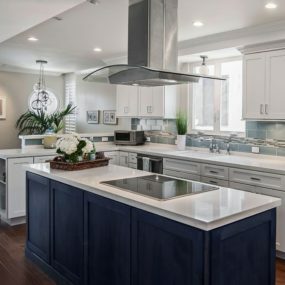 If you are interested in trying an open concept kitchen you want to make sure you have everything you need right where you need it except with a hint of color or texture. Add colorful stools to make the room come back to life in a daring manner that makes sense. 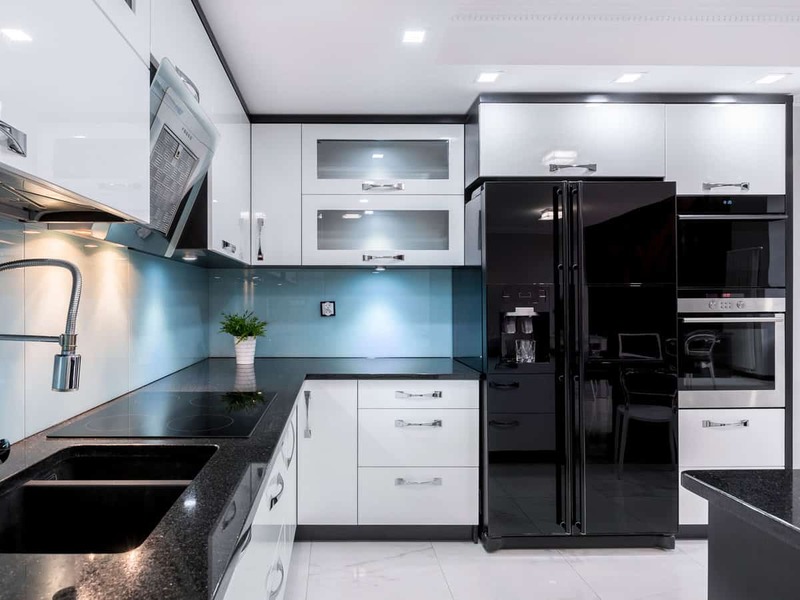 If you’re not fond of silver stainless steel consider having black stainless steel instead. 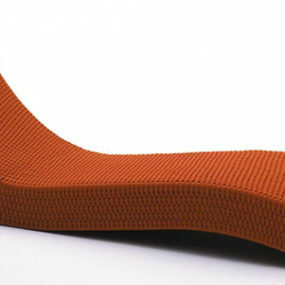 It gives you the same appeal, but with an edgier vibe that feels seamless in the room. 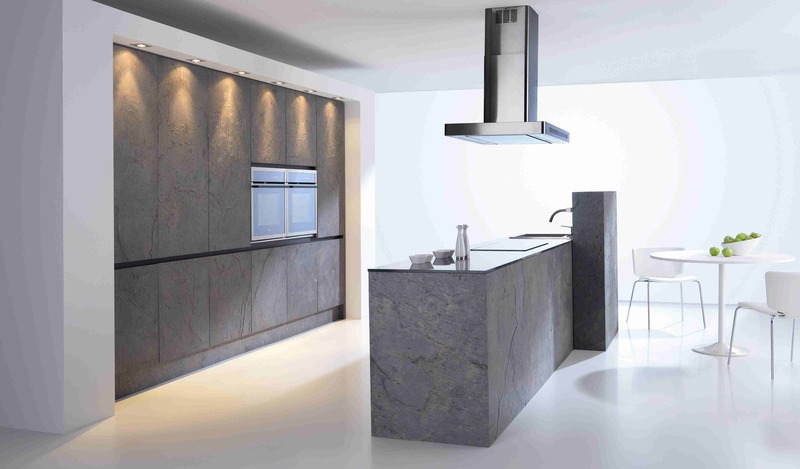 Stainless Steel is still very much still on trend. The key is working with stainless steel details, you do not want the room to feel overbearing with stainless steel bits you want the room to have those hints that scream metallic. 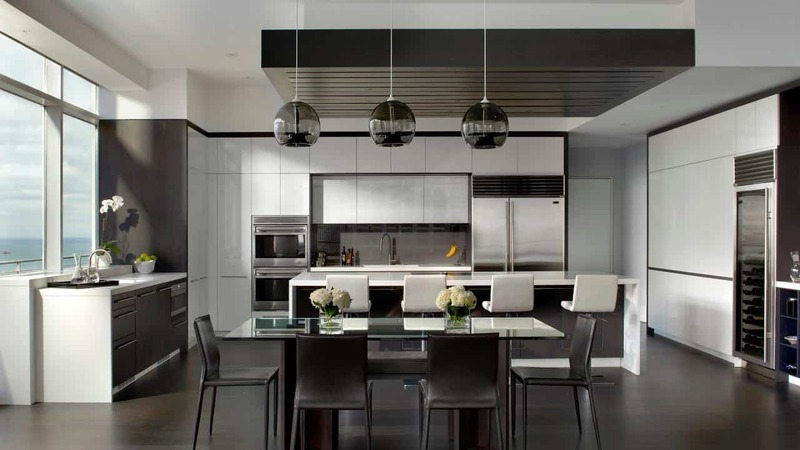 Add one or two stainless steel appliances to bring forth the beauty of these metallic touches. 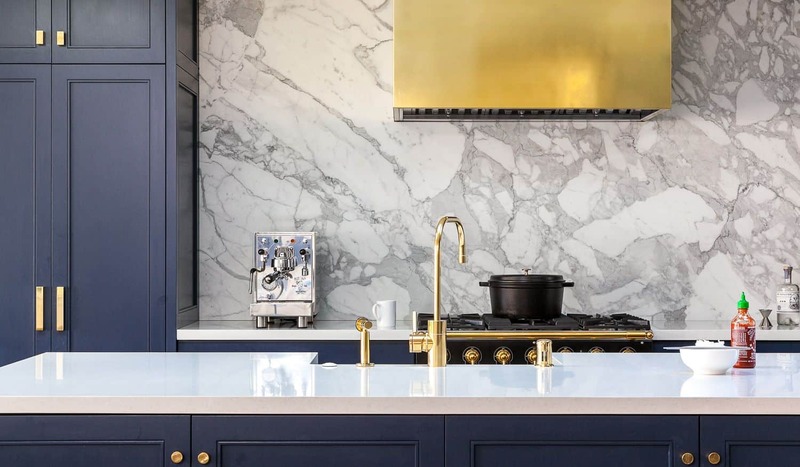 Add gold appliances and knobs to bring a bit of a feminine twist while still being very modern and rich in color. Using dark hues is one of the best ways to bring an edgy touch to the room. There is something modern and intriguing about dark shades such as black, slate, navy and eggplant, they just add a hint of contemporary with a dark mysterious tactic. Pair with an edgy light fixture to fully bring forth that mysterious charm. 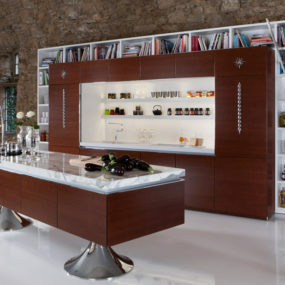 For a luxurious touch consider having minimal decor with a bold element that enhances the kitchen with hints of charm. 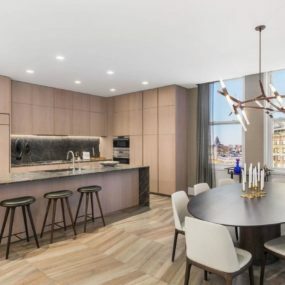 Luxury is quite subjective, some of us will think luxury comes from having bold counter space, or adding a daring light fixture, or even having expensive appliances, but true luxury is a feeling. You want the room to feel luxurious and elegant from the moment you walk in. In order to do just that, add a blend of high-end pieces to have that stark feeling from the moment you enter the room. 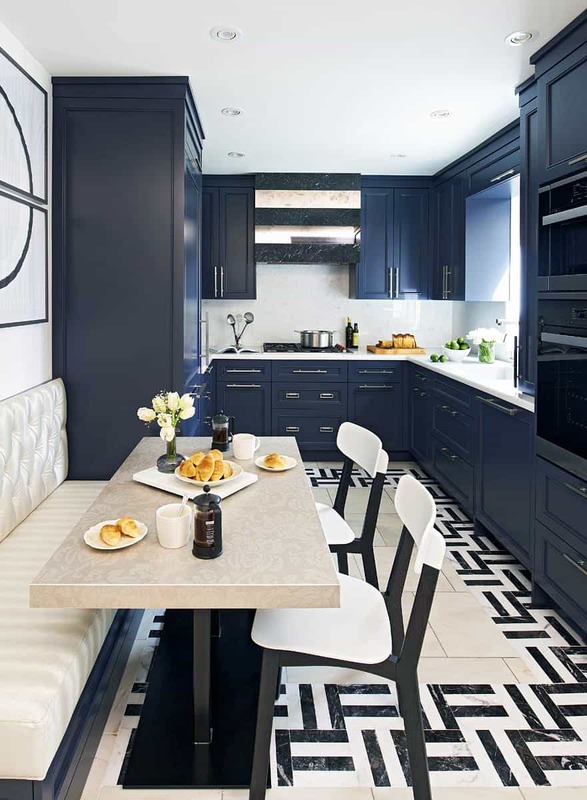 When it comes to pops of blue in the kitchen, paint your cabinets a rich hue of blue and allow the color to brighten the room in an overall manner. You want the blue to make sense, yet pop for that daring aspect. When it comes to color- blue is always a good idea. The shade itself works well with numerous different hues which makes it a perfect option when you want to gain the most out of using this color. Use multiple different shades of blue for the perfect pairing. Add a charming, rustic bit by having hints of wood and greenery displayed throughout. You want the room to feel warm and charming yet still hold that modern aesthetic. 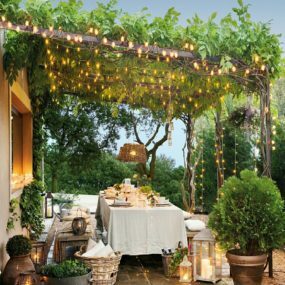 Many are a bit intimated by rustic décor, mainly because this decorating style is so well-known to most people. The key is not to be afraid of the style, but to embrace every part of it. You want the room to have a rustic twist with an abundance of wood yet look and feel crisp and clean. 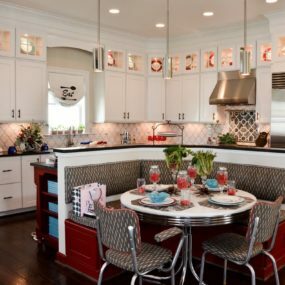 Take your kitchen to the next level by adding unique seats to your kitchen island. Not only will it add a unique touch, but it will add a multifunctional approach. 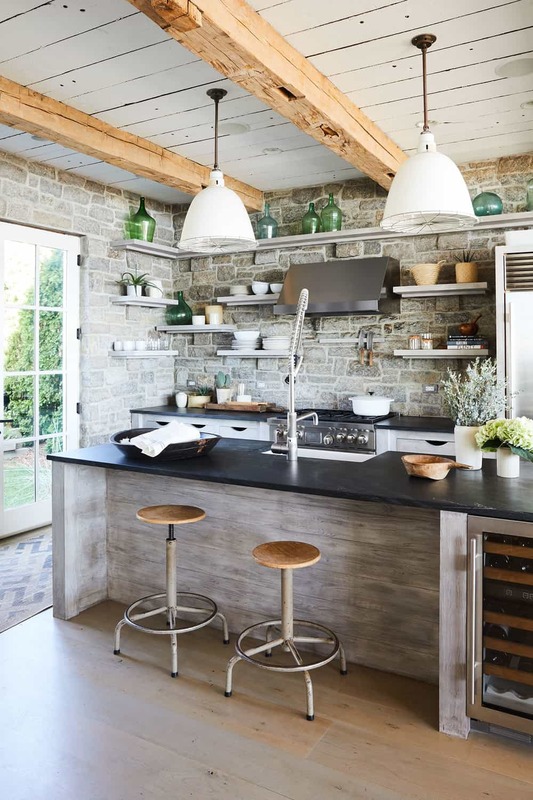 Believe it or not, the stools you use are just as important as the rest of your décor. Stools make a huge statement due to them being not only where you sit but being one of the very first things guests tend to take note of. You want to have unique stools that make a bold statement while still being simple enough that they flow in the room cohesively. A tile wall is great when you want to have a bold wall yet want to remain in the same display. The idea is to keep it simple yet have fun with it. We absolutely love the idea of having a tile wall that creates a unique display. The idea is to have your tiles make a daring statement while still being easy on the eye. Create a pattern with your tiles in order to bring that classic brightening effect or have them as the main focus of the room to further enhance them.